More Than A Decade of Quality & Service! In 2002, Caris Welding was born in a much smaller shop outside of the town of Strathroy, Ontario. to a more diverse client base. Metal fabricating, laser cutting, bending, shearing. We can make exactly what you need. are our key to customer satisfaction. We provide the very best service at reasonable rates. With Caris Welding Ltd., you get a great product at a great price. 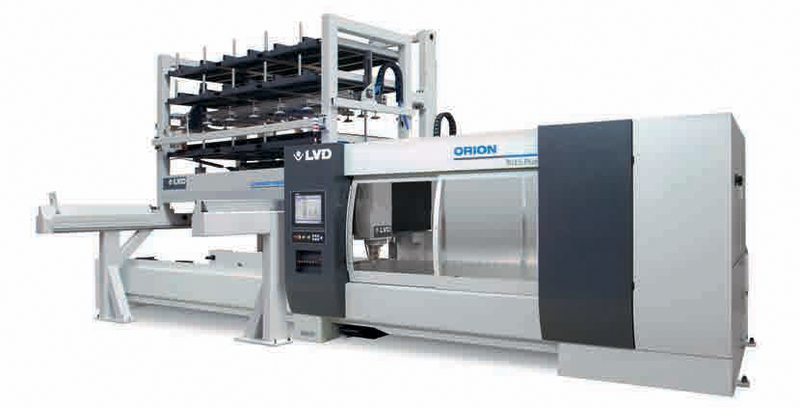 Caris Welding utilizes the Orion 3015 Plus CO2 laser cutter. Quick setup and automatic features make processing fast and keep productivity high. Combined with a Compact Tower, provides full capabilities for loading, unloading, and storage of raw material and finished parts, enabling automated production from stored raw material to stacked finished parts. An integrated laser cutting and control package ensuring accuracy and reliability.